Taking inspiration from May’s pick of the month, Harriet Evans’s THE BUTTERFLY SUMMER, we’ve gathered rounded up our favourite butterfly-inspired books and films. The Butterfly Summer is the darkly magical new novel from Sunday Times bestseller Harriet Evans. When Nina Parr turns twenty-six she discovers she is the heir to Keepsake – a crumbling house, up a forgotten creek in Cornwall. In the grounds, remains a butterfly garden and it is here that we are drawn back to a butterfly summer and the dark story of Nina’s female ancestors. We may be a little biased but this is undoubtedly Harriet’s best novel yet, sweeping across centuries with a love story that will set your heart a-flutter. Oh, and you’ll need a box of Kleenex for this one. 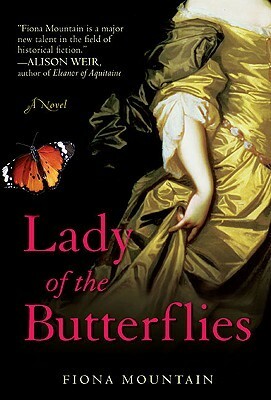 Lady of the Butterflies is a historical novel that centres on the life of the 17th Century entomologist, Elizabeth Granville, coined “ Lady of the Butterflies”. Fiona Mountain’s novel imbues a colourful and dramatic narrative within Granville’s documented life, and her passionate yet distinctive interest for butterflies that, in turn, ignites a forbidden desire for Richard Granville. As testament to her dedication and devotion to the natural sciences, The Granville Fritillary butterfly was named after her. Barbara Kingsolver’s fourteenth novel is a creative exploration of climate change. 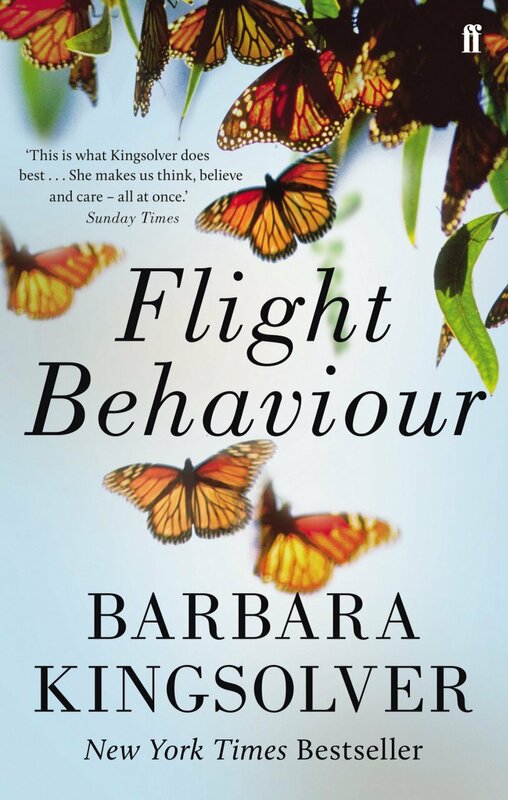 Flight Behaviour centres around the discovery of an unprecedented quantity of monarch butterflies by the main character, Dellarobia Turnbow, sparking curiosity and intrigue from all the residents in the local town. Kingsolver’s novel explores the variety of cultural and social phenomena that are imposed upon the butterflies to account for their appearance, which leads Dellarobia to question her own set of beliefs and what she holds to be true. 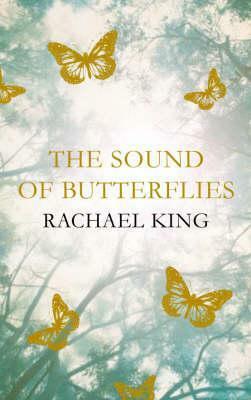 Rachael King’s The Sound of the Butterflies tells the tale of the relationship of Thomas Edgar, a lepidopterist, and his wife Sophie, which is irrevocably altered after Thomas’ return from a expedition to the Amazon. Set in Edwardian England, Thomas is consumed with the hope that it will secure his name as a revered naturist upon successfully discovering an enigmatic butterfly. Upon his return, however, Sophie finds her husband completely altered. 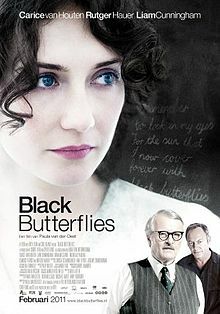 Set during South Africa’s Apartheid, Black Butterflies is an insightful biopic focusing on the life of the South African poet Ingrid Jonker, and her personal battle to articulate her anti-apartheid poetry in the midst of the strong opposition enforced by her father. 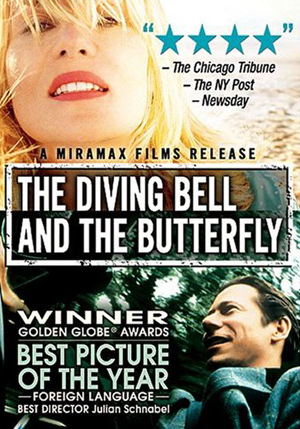 Based on the book of the same name, this is an extremely poignant biopic portraying the life of Jean-Dominique Bauby, a man whose once prosperous and colourful life is destroyed when he suffers a debilitating stroke, leaving him only able to communicate by blinking his left eyelid. The film begins with the inward perspective of Bauby, and later depicts how he was known to those he impacted in the outside world, his spirit still alive and animated as a butterfly. 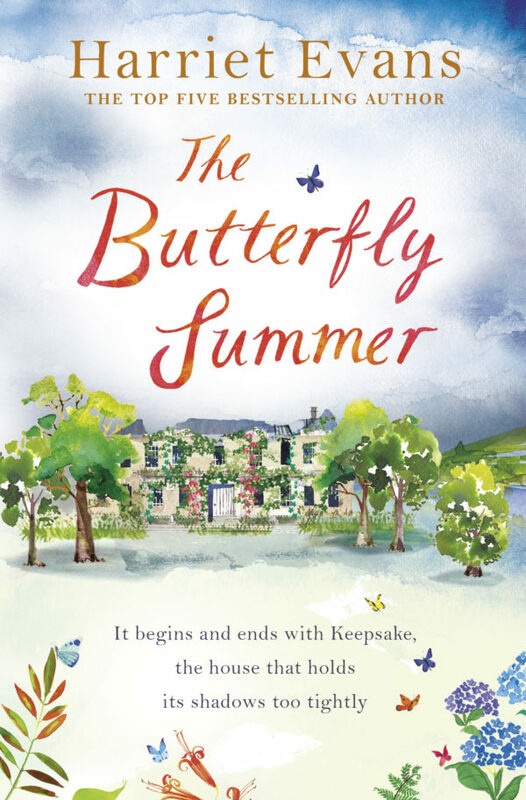 The Butterfly Summer is out now in paperback and ebook. Follow Harriet on Facebook and Twitter. An actress in musicals, ideally either Maria in The Sound of Music or Sarah Brown in Guys and Dolls. Still do, in fact! I don’t remember it, but probably my dad’s car accident when I was nine months old. I think our family would have been very different if it hadn’t happened, for worse as well as better as some good things do come out of terrible events. … is rereading books I’ve loved that remind me why I absolutely adore what I do and why I want to write and how I can try to be better all the time. I don’t really dream, or I don’t remember them anyway. I dream during the day instead! Junk shops that sell anything and everything. I’m a sucker for a collapsible wooden tea tray or a miniature dog’s head in plaster that can be hung on the wall. Disposable nappies. Thank you, faceless inventor of the disposable nappy, from parents around the world. I’m a writer! I have nothing but time to myself all day and it’s terrible! I am so weird to the first person I see when I leave the house after a day alone and often freak them out with my over-chattiness and TMI sharing… Have you seen my mole? Have you ever eaten a whole wedge of cheese before? Do you like my hair like this? I miss having people to chat to. Tall and thin with lots of stairs. And no cupboards. Except the horizontal ones also known as ‘floors’. Aside from my family, if the house was burning down I’d rescue two books: my first editions of I Capture the Castle by Dodie Smith and Gaudy Night by Dorothy L. Sayers. I think the first one actually belongs to my mum and I should give it back to her now in case of hypothetical fire. The cottage we stayed in on Frenchman’s Creek in Cornwall. Not only was it by the Helford, and the most beautiful spot in the world, it was very mysterious and you felt at any time you might actually walk past a crumbling house lost in the mists of time, and it helped me enormously to write The Butterfly Summer. Impossible to pick one but I loved book series: Veronica at the Wells, anything by Noel Streatfeild, C.S. Lewis and last year I read Journey to the River Sea by Eva Ibbotson which has to be up there. Four Weddings and a Funeral. Perfect script, acting, concept, everything. In fact, the perfect film in my humble opinion. (Apart from ‘is it still raining…?’). Such a cliché but since I had my daughter I have such a sweet tooth and it’s terrible. I have a secret stash of chocolates. I live with a man who one year bought me WINDSCREEN WIPERS for Christmas*. This is not a joke. I think he intended it to be a joke and then, ha, it was anything but. I used to think the most boring presents were ‘smellies’ as my best friend used to call them – first, The Body Shop stuff and later any kind of bath oil, or something. Now, that is my absolute dream. Neal’s Yard bath salts, Ren body scrub, Jo Malone fluffy cream – bring it on. I love the stuff. Also, maybe some nice jewellery? My sister always seems to buy me something that I love more than anything I’ve ever owned and it’s from somewhere genius like Zara. I wish I had THAT gift. Basically I want my sister to buy all my presents this year, thanks Cal. I don’t really need much else apart from the non-alcoholic items listed above and the extensive bath-soaking equipment. A warmer house would be nice but I appreciate for that I need to go back to Victorian times and tell them to build better houses. So… time travel, I’d like time travel for Christmas. Happy Christmas to you all and may all your Christmas wishes, even ones as realistic as this, come true. *added information: the windscreen wipers were worse than the ones I then had on the car and they ended up in a bin on the M40. Harriet’s Christmas e-novella A WINTERFOLD CHRISTMAS is available in ebook and paperback now. Today, Headline publishes this gorgeous sampler of first chapters from some of the brightest and most talented women’s fiction authors around. So if you’ve been dithering over what to read next, here’s an opportunity to dip your toe in before you buy! “I love the chance to dip into the latest novels from my favourite authors. And SUMMER WITH FRIENDS is a delicious treat of a read. Download SUMMER WITH FRIENDS here. Let us know on social which chapter caught your attention first. Liked this? Why not get to know these authors a bit better? Try our quick fire Q&A with Emma Hannigan, or find out about the books on Emylia Halls bedside table.